The ideal opportunity for ladies and youngsters to give motorsport a go has arrived. 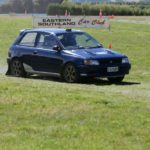 The Eastern Southland Car Club is holding a Ladies and Under 18 Have A Go Fun Day Grass Autocross event this Saturday 23 February at Rakahouka near Invercargill. 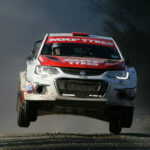 Entry is free thanks to a joint Eastern Southland Car Club, MotorSport New Zealand, Youth in Motorsport &..
A superb field has entered the Rankleburn Rally in West Otago this Saturday. The event, organised by the Eastern Southland Car Club, is part of the club’s rally championship and will take place from 10.30am on Saturday 6 October. Support will once again come from MLT / Heartland Hotels and Ernslaw One Limited. The event will be based at Telford Tops Road.. Defending champion, Andrew Graves of Gore in a Mitsubishi Lancer EVO 3, took his fourth Catlins Coast Rally victory when he won the 2018 event on Saturday. 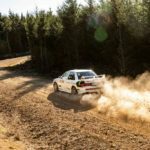 Graves and co-driver Jared Leebody built a buffer of 43 seconds over current NZ Rally Champion Andrew Hawkeswood in the first two stages and maintained their advantage throughout the day to finish with..